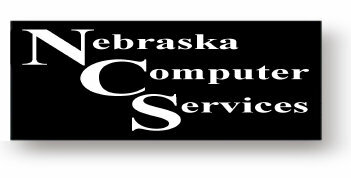 Started clear back in 1985, Nebraska Computer Services has been serving central and eastern Nebraska computer users both at home and at their business. Computer Sales and Service are at the prime of NCS offerings. NCS offers sales of new and used computers. NCS can find something to fit your pricerange, from $150 to $850 for used systems. NCS offers new computers that start in price from $495. The typical new computer from NCS is in the $900 to $1100 range. NCS offers many individual and unique services such as old computer placement. We help you find a home for your used computer and get a nice tax benefit to boot. NCS has customers in 29 states, but most of their customers are right here at home in central and eastern Nebraska. NCS offers phone and online support for all types and brands of computers. NCS is one of a very few computer service organizations that does work on all brands of computers and peripherals. Some the of brands that NCS services is HP, Compaq, Dell, Gateway, eMachine, almost all brands of white boxes for both desktop and notebook computers. NCS offers internet connections through dsL and wireless main connections. NCS offers complete networking services for both the home and business. NCS offers one on one and small group training either at the NCS facility or at your home or office. NCS services large printers and computer accessories that very few stores in Nebraska will work on. NCS does a lot of onsite third party warranty and out of warranty service for over 100 different models and many brands of computer and printer and peripherals. Be safe with your computer. Nebraska Computer Services offers products from BIOPRO International that take the magnetic and radiation components away from harming the human body. Welcome to our NCS web site.